Tom Ford's directorial debut A Single Man came in out in 2009. The movie is based on the novel of the same name by Christopher Isherwood and stars Colin Firth, who was nominated for an Oscar for his portrayal of George Falconer, and Julianne Moore. Based in California and taking place over the course of a single day, November 30th 1962, the film places emphasis on the culture of the 1960s; the production design is by the same team that designed TV show Mad Men, which is set in the same era. 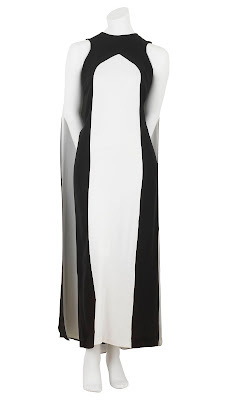 The monochrome caped column dress worn by Moore was made by Neusteters, an upmarket department store that closed in 1985. Costume Designer Arianne Phillips sourced this dress for the movie. I'm informed there would have been about 40 dresses made for the store and I've have managed to track down the exact same design. 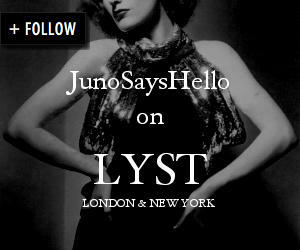 If you would like to make an appointment to visit our studio in Kings Cross, please get in touch via this link. 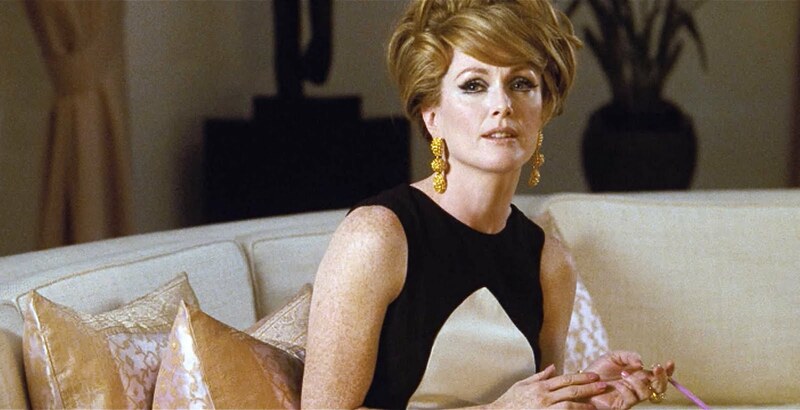 Stephanie Theobald wrote a really interesting piece on Julianne Moore's character in A Single Man, explaining why a vamp on the verge of a breakdown is irresistible. Read the full article here. The Times called Moore's style 'sloshed chic' when the movie came out - read my previous blog post here.